Those knowledgeable about Horology will recognize these valued certifications. Less than 3% of American watchmakers have achieved all three. See the FAQ section of our website for an explanation of these certifications. Our customers realize that it is to their benefit to have a certified professional horologist work on their watch. Watch battery replacement starts at $17. It can be more depending on the brand of watch. Ryan does the installation, and he is in the shop M-F 10-3 pm, and the 2nd Saturday 10-2 pm. Wooden watches can get new batteries and wooden watch bands can be sized also. It takes time to determine the quote for an involved repair. Overhauls include cleaning, oiling, adjusting, mainspring replacement if applicable and repairs. Since each repair is different, an estimate/quote will be given before any repair is started. 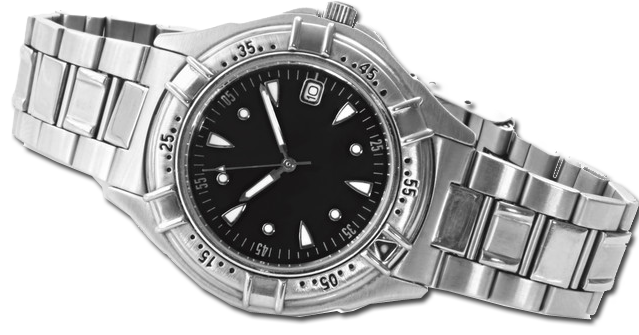 A fee is charged for mechanical (wind-up or automatic) running watches. For this we charge a minimum inspection/diagnostic fee of $75 + tax or more depending on the brand of watch. If you bring in your pocket watch, we can do a quick front counter inspection for $25. We give you a written report containing information about your watch. This information can include the year of manufacture, if it has been serviced in the past by other watchmakers, unique characteristics of the movement, any obvious damage or repairs needed, quality of the movement and other interesting facts about your watch. Some quartz (battery) watches may also be charged an inspection fee, if needed. Service and repairs can range between $17 to over a $1000 depending on the situation. Please be advised, that common repairs may take 2 – 5 weeks because of the watch repairs already waiting in line. A mechanical watch requiring a major repair or overhaul may be in our shop 2 – 8 months waiting for it’s turn in line for repair. This is due to the backlog of work which continually comes into our shop. Please go to “About Our Shop – a “must read” on our website to further understand why we are so busy. We have customers continually coming into our shop and getting a job repair number to have their timepiece repaired. Watch Battery Replacements: Battery replacements start at $17 and may be more depending on the brand of watch. Lithium batteries will increase the price. We also change batteries in Wood watches. Band sizing: $17 and up. Sizing of certain bands can cost more (ceramic, specialty bands, wood etc). We have an extensive selection of watch bands available. For some bands we sell, there may be a fee to size the band to your wrist or if the band is modified to attach to your watch. Price of parts depends on the brand and type of your watch. A quote will always be given before ordering replacement parts. Some parts are not available to independent watchmakers and will require our shop to decline the repair. There will be antique or vintage watches that we’ll decline to work on and will refer you on to repair shops that specialize in those type of watches. There may be some modern watches that we may not be able to repair due to the difficulty of obtaining parts from certain brands of watches. Occasionally, due to the circumstances, we may use the talents of a watch specialist for repairs or fabrication of a part. Sometimes a watch may be sent to a service center because they have the part we are not able to obtain or can perform a specialty process. We warranty any work done by a specialist or service center because we inspect their work and confirm it was done correctly. We offer a one year warranty on any internal movement parts installed. Sales tax for Washington will be added.